The weather is finally going to turn just in time for the start of apple picking! We are excited to open on Saturday September 8th and are looking forward to an amazing season. This weekend we will be picking Macintosh, Cortland and Golden Delicious. If you like your apples a bit on the tart side, you'll love these early season apples. As always, will also be offering free tractor rides into and out of the orchard, orchard-side roast your own s'mores, Meghan will be here to offer pony rides, and on Sunday you can pick and picnic to the music of LukiesFortune. Our orchard is uniquely situated on a hill so the views are spectacular. We offer a no pressure picking experience and encourage you to bring along a picnic to enjoy in our picnic area. Tables are available on a first come, first served basis. 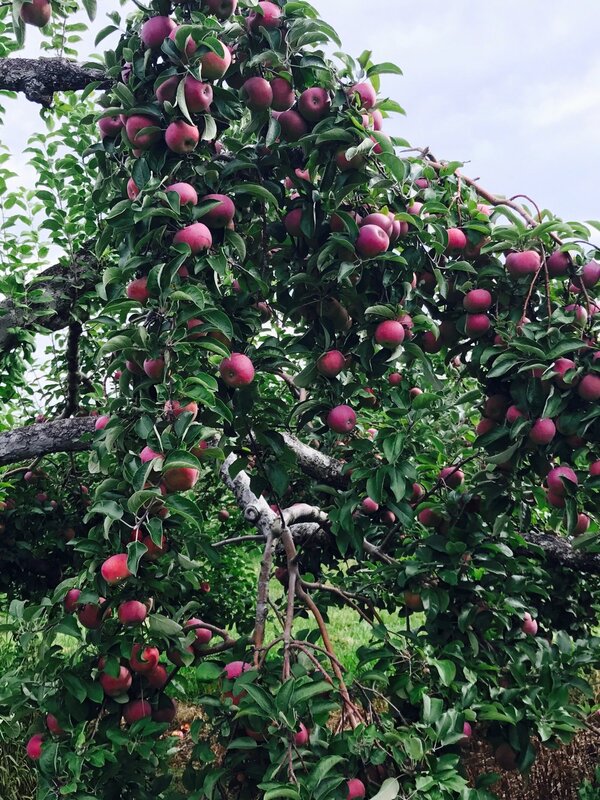 We will have plenty of picked apples for sale in our retail area, as well as cider donuts, apple cider, root beer, water. and hardy mums. Pumpkins will be coming in a few weeks. Drew Farm is open every day from 10 am to 5 pm. Please check out other pages of our website for details and pricing. Hope to see you soon!